80 years of experience in innovation and reliability: BITZER, with representation in more than 90 countries, is the world’s largest independent manufacturer of refrigeration compressors, will be showcasing its product highlights at Stand 2253 at AHR Expo in Orlando from January 25 to 27, 2016. 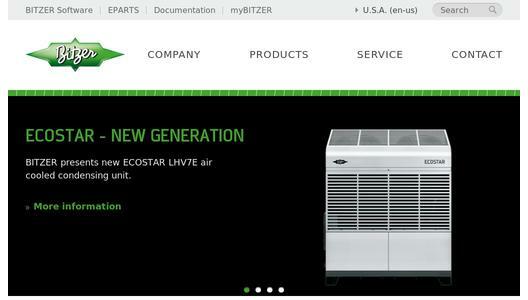 “With more than 40 sites around the world offering a wide variety of compressor options for refrigeration and air conditioning applications, we’re always able to offer our users the right solution for any operating conditions,” says Peter Narreau, President of BITZER North America. The BITZER trade fair stand is definitely worth a visit if you’re interested in innovative CO2 compressor technology, as the company is showcasing its CKH reciprocating compressors for transcritical CO2 applications. The very compact and efficient four-cylinder model on display belongs to a compressor range with displacements between 1.9 and 22.3 CFM. All of the models in the series offer speed adjustment between 30 and 70 Hz and, thanks to their modern cylinder heads, work with low pressure pulsation. The CKH compressors are exceptionally robust and thus reduce the amount of servicing required as well as the costs of operating refrigeration systems. The CO2 compressors are designed for standstill pressures of up to 1,450 psi low pressure and 2,320 psi high pressure. “We’re confident that CO2 is one of the refrigerants of the future, as it offers key benefits, including a global warming potential of 1 that is practically climate-neutral and, at the same time, is exceptionally efficient, versatile and quiet. That’s why we developed and began manufacturing CO2 compressors over 15 years ago,” says Narreau. Exceptional versatility has always been a strength of BITZER’s tried-and-tested ECOLINE reciprocating compressors. BITZER will be showcasing ECOLINE reciprocating compressors with two distinct capacity control options in Orlando. The mechanical CRII capacity control supports a wide range of control between 10 and 100 percent, thus ensuring optimal system efficiency across all operating conditions. 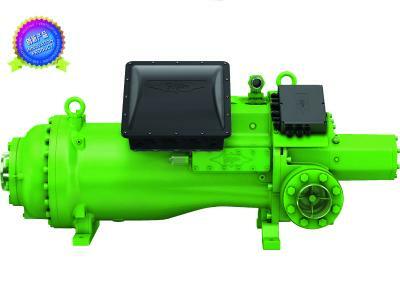 To develop the CRII, BITZER optimized its reliable CR capacity control with blocked suction and introduced a hollow control piston. The CRII promotes a higher switching frequency, reduces operating costs and, therefore, protects the environment. The ECOLINE VARISPEED features an integrated, suction gas-cooled frequency inverter for infinitely adjustable capacity control. With a range of 25 – 87 Hz, the VARISPEED provides 45% more capacity at full speed and nearly 40% less capacity at its lowest speed. The result is precise temperature control with the least power consumption. 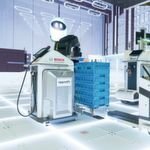 Another benefit of the VARISPEED is that regular servicing and a cooling fan are no longer necessary, as the frequency inverter’s suction gas-cooled operating elements ensure optimal component temperatures at all times. With displacements between 3 and 157 CFM (60 Hz) and a variety of approved refrigerants such as R404A, R407A, R407C, R407F, R448A, R449A, R507A, R290 and R1270, ECOLINE reciprocating compressors are suitable for a whole host of applications. For supermarket applications, they’re perfect for cascade systems using R134a (for medium temperature application) and CO2 (for low temperature application). 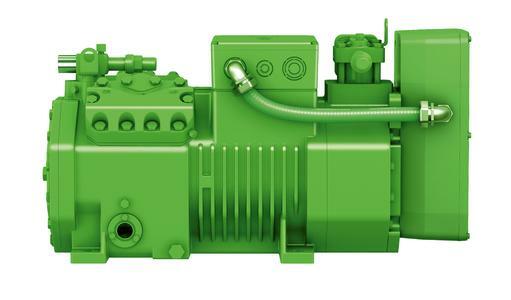 BITZER’s three CSV screw compressors offer a unique benefit: optimized for use in air conditioning systems, heat pump applications and industrial and process cooling, the compressors are extremely efficient. BITZER has integrated the liquid-chilled frequency inverter into the compressor, and it’s carefully fine-tuned at the factory and configured for maximum efficiency. The result is a very high IPLV value of more than 20 BTU/W. The CSV series is therefore unrivaled among air cooled liquid chillers with dry expansion. Another benefit: the CSV series and CSH compact screw compressors can be combined in a single system, thus increasing versatility in full-load and part-load behavior. The semi-hermetic CSH compressors offer infinite or step-capacity control, are optimized for high condensing temp applications, and are the most efficient and quietest screws in their class,” says Narreau. 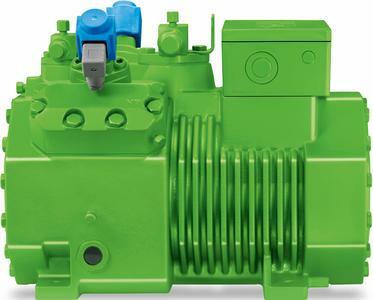 BITZER is also showcasing its ORBIT 6 and 8 series R410A scroll compressors, which are designed for use in air conditioning systems and heat pumps. ORBIT compressors boast high isentropic efficiency, low sound levels and excellent energy efficiency. With displacements between 11,8 and 22,4 CFM for the ORBIT 6 and between 17 and 45 CFM for the ORBIT 8, these scroll compressors offer a wide range of applications. 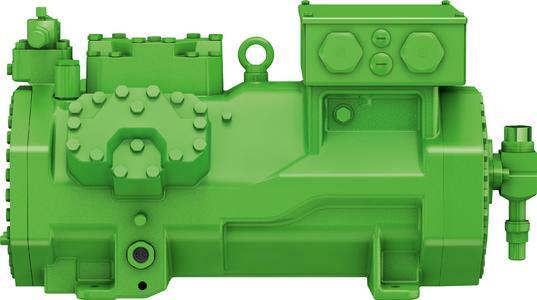 BITZER’s patent-pending Advanced Header Technology (BAHT) is designed for scroll compressor tandems and trios and makes it easier to combine compressors of un-equal capacity in air conditioning and heat pump systems. The suction gas header with integrated oil distribution plays a key role in this improvement, directing returning oil to one specific compressor in the tandem and trio units – and from there distributing it among the other compressors. What makes the BAHT system so unique is that it also works with either uneven capacity scroll compressors in one unit or with fixed, plus variable speed combinations of compressors. 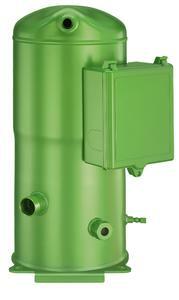 And the system offers another major advantage: active oil management with an oil separator is no longer necessary. 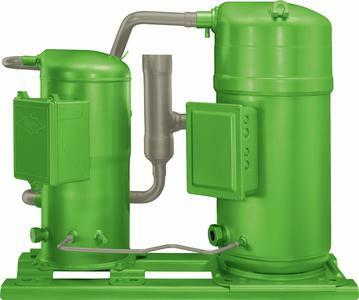 Even when a compressor is shut off, the BITZER Advanced Header Technology maintains oil balance between compressors. The BITZER Group is the world's largest independent manufacturer of refrigeration compressors with sales companies and production sites for reciprocating, screw, and scroll compressors as well as pressure vessels all over the globe. In 2014, 3,400 employees generated sales of €657 million.